Dunnhumby, a customer data science company, has released its inaugural Retailer Preference Index (RPI), a nationwide study that explores the $700 billion U.S. grocery landscape. 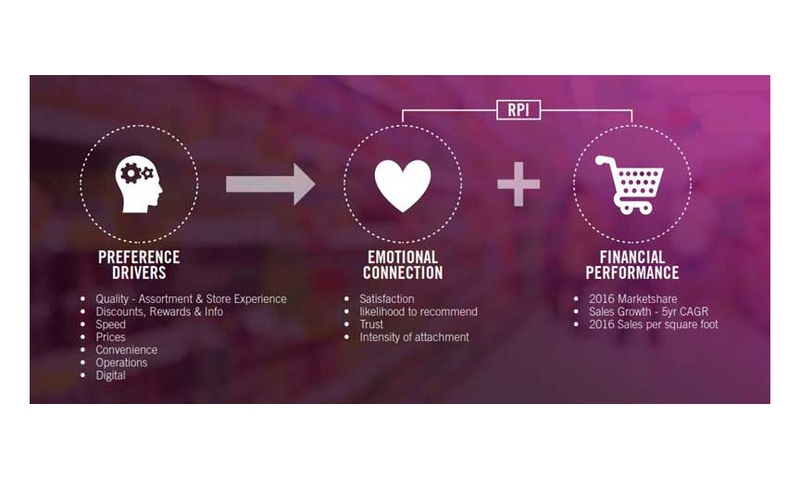 The RPI study surveyed 11,000 U.S. households and analyzed consumer emotional sentiment for 59 grocery retailers and then combined the survey data with the retailers’ financial performance to create each retailer’s preference index. The top 10 retailers with the highest preference index scores, in order, are: Trader Joe’s, Costco, Amazon, H-E-B, Walmart, Wegmans, Aldi, Sam’s Club, Sprouts Farmers Market and Whole Foods Market. Quality-focused. Although Whole Foods Market performs below average on prices, it still achieves a high overall RPI because it indexes so high on quality. Price and quality are the most important preference drivers. Retailers with a weak value core should focus on shoring up that weakness before turning attention to other drivers such as convenience, rewards or speed. The top-performing grocery retailers include relatively recent entries into the 100-year-old supermarket business and are more likely to be a national banner. All of these banners, except H-E-B, were either established or began to expand around the 1980s, which allowed many of them to carefully select store locations. As a result, many of these banners can focus and differentiate their prices, products and store experience more effectively than older mainstream banners. The second best performing quartile of retailers include some of the higher performing, older grocery banners, including Meijer, Publix and Kroger. This quartile has the highest top of mind recall and the second-highest financial performance. This group does not perform as well as the top quartile because their price and quality scores are not as strong, but this second group differentiates itself by excelling at secondary preference drivers, such as promotions, rewards and information. A copy of the 2018 Retailer Preference Index is available for download here.